Otjiwarongo (Otjiherero: "pleasant place" or "place where fat cattle graze") is a town of 20,000 inhabitants in the Otjozondjupa Region of Namibia, some 200 km north of Namibia's capital. 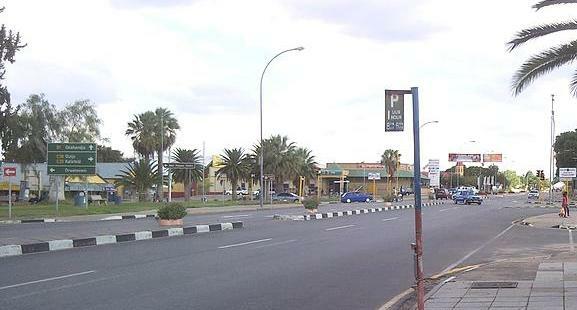 It is the district capital of the Otjiwarongo electoral constituency and also the capital of Otjozondjupa. Otjiwarongo is situated in central-north Namibia on the TransNamib railway. It is the biggest business centre for Otjozondjupa Region. Otjiwarongo is located on the B1 road and its links between Windhoek, the Golden Triangle of Otavi, Tsumeb and Grootfontein, and Etosha National Park. It is one of Namibia’s fast growing towns, with a neat and peaceful quality environment, and many excellent facilities including supermarkets, banks, lodges and hotels. Some of Namibia's best-known private game farms and nature reserves are located in and around the town. Otjibamba Lodge, an afro-colonial style lodge, is situated on the southern side of the town near the Otjiwarongo Golf Course. The Herero people were the original settlers of this area, and they called the place Otjiwarongo, meaning "Place Where Fat Cattle Graze". The name is appropriate as Otjiwarongo is home to some of the biggest cattle-breeding companies in Namibia. German Namibians first settled in Otjiwarongo in 1900. A bloody war was fought in the area between the Hereros and the Germans in 1904 where many of the tribes people died. The Hereros where the only African settlers in the town until 1906 when few amount of Ovambo and Damara tribes migrated to the town for settlement. 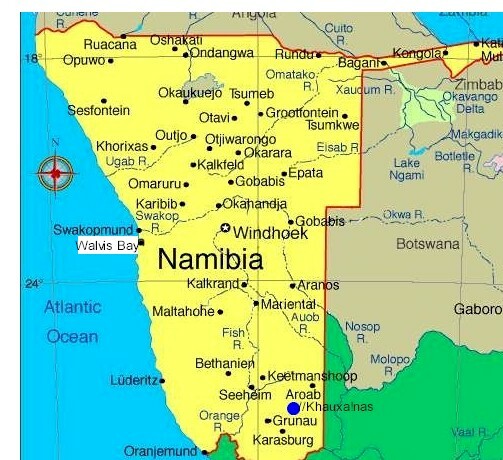 This happened when Otjiwarongo was established as an administration point for the Germans and officially became a town. A narrow-gauge railway was built from Swakopmund on the coast, to the Otavi copper mine which helped Otjiwarongo became a prosperous agricultural centre. The three tribes where separated like in many of Namibia's towns, where each lived in a separate neighborhood such as Ovambo Location, Damara Location and Herero Location respectively. The three locations together made up the suburb of Orwetoveni. The main interest for tourists is Otjiwarongo's proximity to the Waterberg Plateau Park. Otjiwarongo is home to the Cheetah Conservation Fund, an internationally-recognized organization dedicated to ensuring the long-term survival of the cheetah through research, conservation and education. Also about 50 miles from Otjiwarongo is Okonjima, the home of the Africat Foundation, a successful cheetah and leopard rehabilitation centre, with viewing made possible by staying at the adjacent Okonjima Lodge. On the edge of town is the Crocodile Ranch, one of the few captive breeding programs for the Nile Crocodile that has been registered with CITES. The ranch exports the skins, but sells the meat locally. Also in town is Locomotive No. 41, originally brought from Germany to haul ore between Tsumeb and the port at Swakopmund. It is home to 20 percent of the world's cheetahs, mostly on private ranch land. 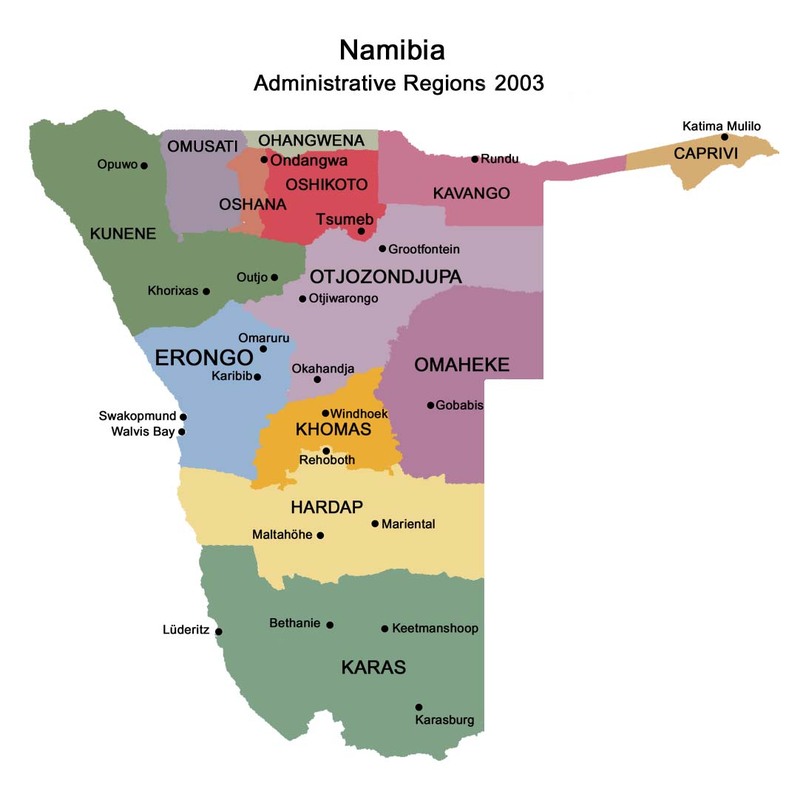 The town of Otjiwarongo operates six primary schools, three high schools and junior high schools. There are about eleven schools in Otjiwarongo, five private schools and six public schools. All schools final exams for grade 10 and 12 are regulated by the Ministry of Education. The schools of Otjiwarongo attract more and more non-resident students. "Otjiwarongo Secondary School" is rated as one of Namibia's best schools, with students reaching overall top number one student for the grade 12 Cambridge examination. Over the years many students have reached the top five. Many of the students who graduate from this school study at Stellenbosch University, University of South Africa, University of Cape Town and the University of Namibia. 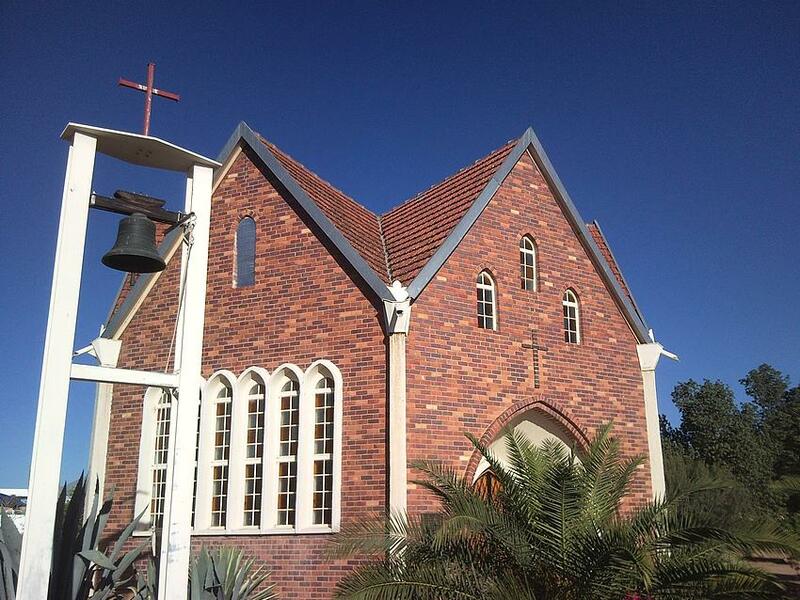 "Deutsche Schule Otjiwarongo" is also rated as one of the best schools in Namibia. There are also a number of institution for higher education in the town such as the "Monotronics Success College" which offers basic courses such as computer, accounting, marketing, business administration and many other. "MTI" and "COSDEC" are one of the two most popular vocational institutions in the town. There are many other institutions that covers the fields of art and culture. Theres is also a convent institution for Nuns. The Polytechnic of Namibia and the University of Namibia had plans to build their central campuses in the town, the two institutions already have their regional centers in the town where distance students interact with the two institutions respectively. These are schools that used to have less influence from the government, however still follow government syllabus. Otjiwarongo State Hospital is the biggest hospital in the town, it is mostly used by the middle and low income residents. A number of private clinics and hospitals are also present in the town, this includes the ever popular MediCity Private Clinic. About 90% of the town’s residents speaks and understand Afrikaans. About 75% speaks English and 35% German. Other languages includes indigenous languages like Otjiherero, Damara-nama and Oshiwambo. Mighty Gunners FC is the town's major football team. Mokati Stadium, the smallest of two stadiums in Otjiwarongo, is located in Orwetoveni and its the main football stadium in town. There are also grounds for basketball, netball, and tennis. The largest, Paresis Park also known as The Show Ground, is located in the upper suburb of the town. It is the towns biggest sport ground and one of the biggest in Namibia. It has two soccer fields and two rugby fields. There is also grounds for hockey, tennis, netball and cricket. The park is also used to hold sport tournaments and business events such as the Otjiwarongo Trade Show. In 2011, it host the main event of the 21st Independence Celebrations of Namibia. The town connects to the South, Okahandja through to Windhoek, to the North, Otavi through to Ondangwa and Oshakati, to the West, Kalkfeld through to Swakopmund and Walvis Bay, and to the North-West, Outjo through to Opuwo. Taxi is one of the towns main transportation. Some people make use of the municipal bus service to get to work, while others use their private cars. Otjiwarongo is the junction for the branch railway to Outjo. 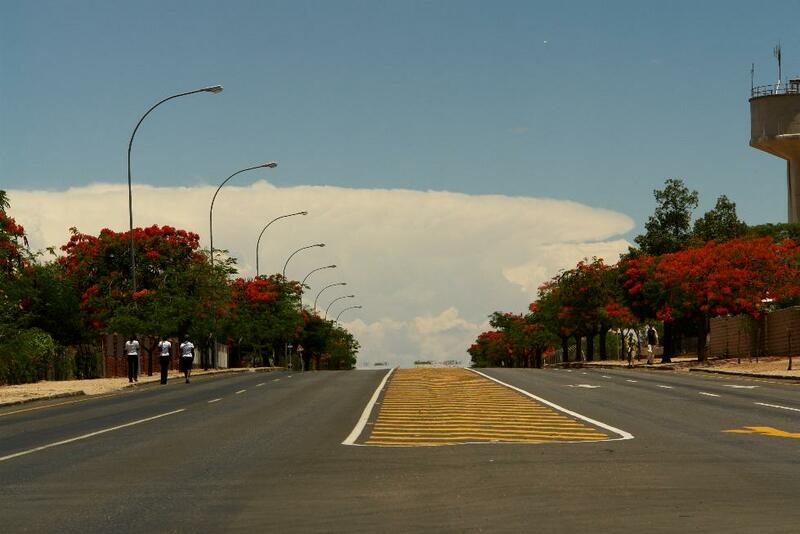 Otjiwarongo has a well-developed road network as well as an air strip. There are plans to develop an international airport. 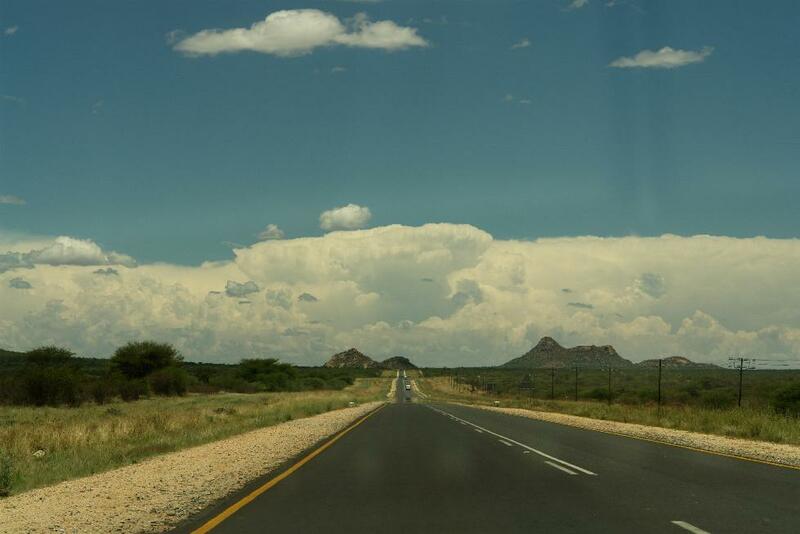 The Trans-Caprivi highway also passes through Otjiwarongo. The railway line links other towns: Windhoek, Walvis Bay, Tsumeb and Oshikango. On many occasions the Council has budgeted for upgrading roads in the town. Today Otjiwarongo is one of the few towns that has tarred roads even in the townships.